Chris Do, the host, is an amazing designer with tons of knowledge to share. If you think I'm a making machine, just look at this guys website and channel, it's an overwhelming amount of awesome content. Plus he has the highest production for a live stream I HAVE EVER SEEN. There is even a musician there the whole time playing electric guitar on the fly to match the tone of the conversation. WHHHAT?! 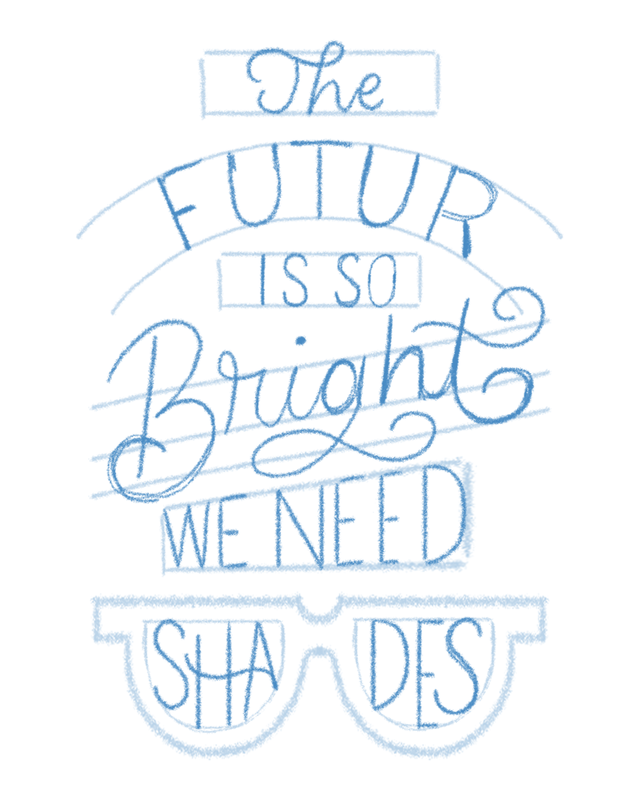 During my 90 min interview I walk you through my process creating a new hand lettering piece from scratch for The Futur, "The futur is so bright we need shades". Typically I stay away from showing the initial brain storm process live because it's so hard to talk and work at the same time. Plus only 90 mins to complete a whole 7 word piece is not easy. So needless to say I was nervous. Luckily, I was albe to get the project 90% done on stream while showing you how I build up my projects from thumbnails, to skeleton, to final rough draft. Not to mention answering a ton of questions on the business of lettering and how I managed to make 100k my first year freelancing. The video above get's a little out of sync with the audio, but hey that's a live stream for ya. Even the most infamous Youtubers still have technical difficulties every once in a while. But I definitely encourage you draw along with the video and enjoy the awesome production team over at The Futur.